Look Sharp, Sconnie - Midwestern Fashion Nerd, Chronic Over-thinker: In the Moda. 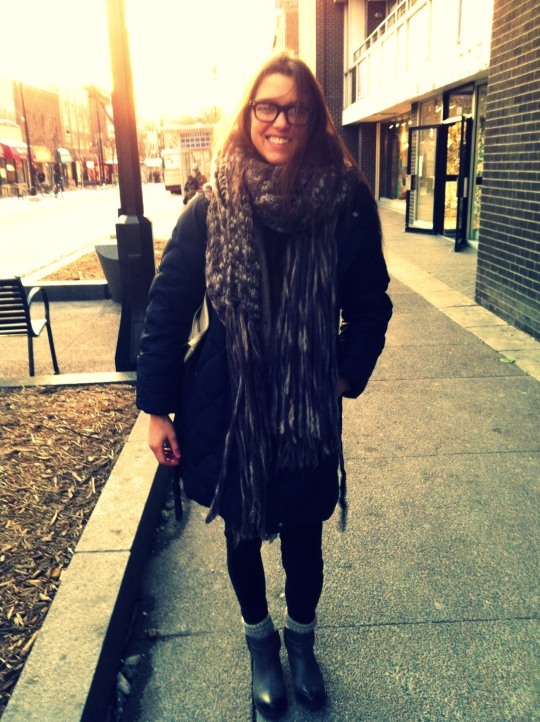 Universes collided when pretend blogger (me) ran into real writer (Paige Schultz) on State Monday. Check out my fashionlessable ensemble on Moda Madison's Street Smart. - and I promise my 'European' comment didn't sound quite so ridiculously pretentious when first uttered. Or it did, in which case, c'est la vie. LOL Gab, your blog is impressive. How did you get to be so artsy? Teach me. This has inspired me to see why you want me to help take pictures of fashionable people. I will try my best to do so without coming off creepy.